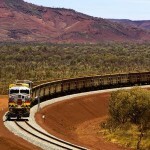 Flinders Mines will look to China for investment after a buyout deal for their Pilbara Iron Ore Project fell through. Company chairman Bob Kennedy told shareholders there were initial non-binding agreements or expressions of interest for the project, which would need to move forward to finalise off-take agreements and potential investment. Kennedy also said the iron ore industry would need a sustained improvement in the iron ore price before new production would become feasible. Flinders Mines shareholders knocked back a proposal from Todd Corporation in September, which would have seen Flinders receive an initial payment of $10 million for an option to buy the Pilbara project, plus another $55 million plus royalties for the buyout. Shareholders argued Todd should have put a full takeover offer on the table. Kennedy said the directors had taken paycuts of 20 per cent in order to reduce costs. 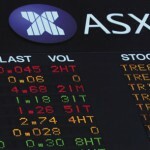 Flinders is currently trading at 1.2 cents per share.